The Wall Street Journal has start-up information and databases of businesses for sale and venture capital. Wealth in the form of money or assets, taken as a sign of the financial strength of an individual, organization, or nation, and assumed to be available for development or investment. Business Week Center has articles, tips, and information on small business. Inc.com is the website of Inc. Magazine. Entrepreneur.com has start-up ideas, resources, and articles. Entrepreneurship.org includes “the best of the best” on the web about running a small business. SBA Office of Advocacy has information and ACE-Net, Angel Capital, and Electronic Network. SBA’s Online Women’s Business Center has resources for women entrepreneurs. Economic and Workforce Development through the California Community Colleges. CalGOLD offers direct internet links and contact information to state, local, regional, and federal permitting authorities for more information. Bplans.com and Center for Business Planning have sample plans and writing tips. Business Plans and Profiles Index lists plans by business type and directs you to the source. Grants.gov is a good site to use when searching for Federal grants funding. Capital Connection describes various capital sources and services. The U.S. Small Business Administration has a number of loan programs.  The SBA sets the guidelines for loans while SBA’s partners – lenders, community development organizations, and microlending institutions – make the loans to small businesses. Learn about 8(a) financing for small disadvantaged companies and assess your firm’s eligibility here. Economic development organizations or corporations have various financing programs.BusinessFinance.com offers a list of economic development organizations in CA. Local Governments’ Websites – unique or specialized financing sources may be available in your locality. Check appropriate county, municipal, city, or township web sites for information. Venture Capital firms may be a source of financing. There are a number of venture capital directories on the web. The Infon Venture Capital Directory is free to search and provides some contact information for free. National Venture Capital Association Member Directory is a comprehensive, print directory of NVCA members. vFinance.com allows searching by state, industry, and dollar amount for venture capital. Contact information is about $2 per contact. BusinessFinance.com allows users to enter details about the financing needed and then returns a list of potential sources. Small Business Lending in the U.S. provides state-specific data including top lenders to small businesses. Guide to forming a corporation in California. FindLaw has legal information, guides, sample forms, and other legal resources. Guide to doing business with the government from the U.S. Small Business Administration. Hire an Employee in California Checklist – This is a great reference. Read the whole page. IRS’ Digital Daily has resources for employers and tax and wage information for new and existing businesses. The California Employer Advisory Council and local Employer Advisory Councils (EAC) are recognized and accepted by employers and government as the premier information resources for the employer perspective on employment and other workforce development issues. Quicken.com has accounting and tax information, forms, and other business planning tools. Knowthis.com is a meta-site with links to marketing-related topics. SBA Notice 6000-801 dated May 16, 2012, which provides notice that, effective May 29, 2012, a new System for Award Management (SAM) will replace various other federal procurement system and databases. Minority Business Development Agency has the self-registering Phoenix database of minority entrepreneurs. Small Disadvantaged Business Certification (SDB) Questions and Answers – learn more about the SDB program and requirements for certification. Fact sheet pdf from the SBA Office of International Trade that explains the six-step process to begin exporting. How to protect your invention while pitching it. Protecting your Technology – Excellent online course to understand the choices in protecting your intellectual property.